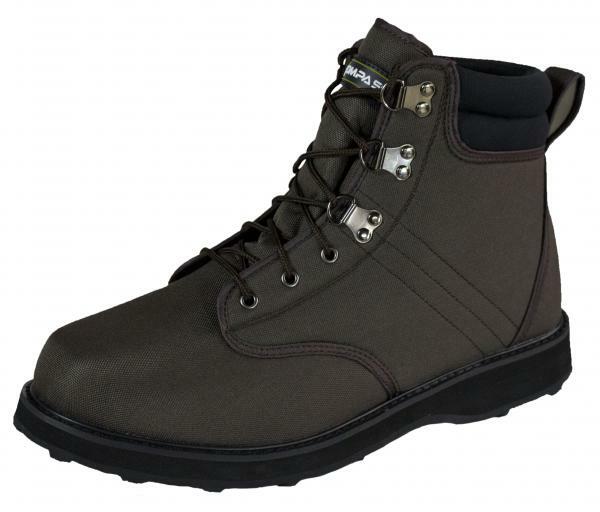 The STILLWATER Wading Shoe is our best priced and super value wading shoe. Constructed with tough and durable 1000 denier non-shrinking nylon, The STILLWATER offers a solid grip solution Wading shoe. Designed to be worn with or without steel stud screw-in cleats. 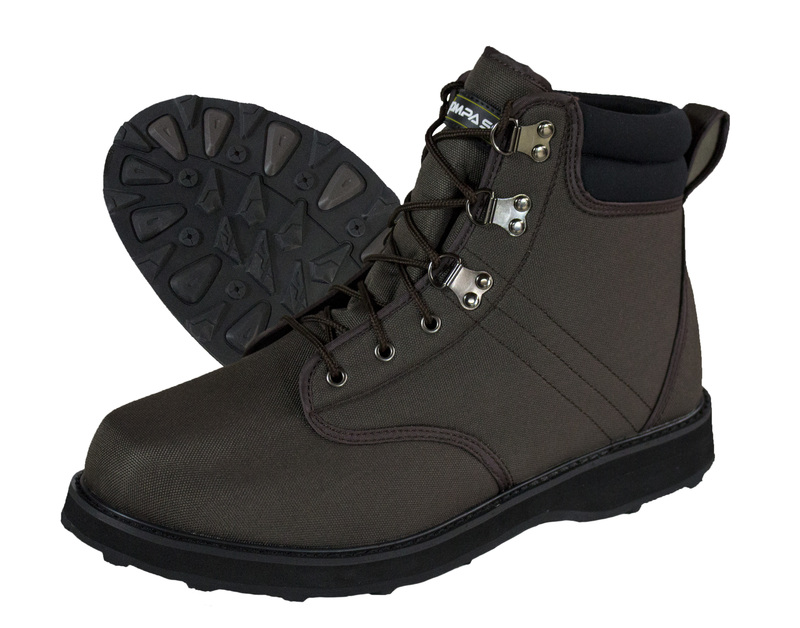 Built on a wide wading boot style last with double padded collar, and reinforced internal toe cap and heel kicker, and speed lace “D” ring system. The STILLWATER wading shoe offers great functionality and value for every wading situation.